These costumes are hilarious, that’s just a fact. 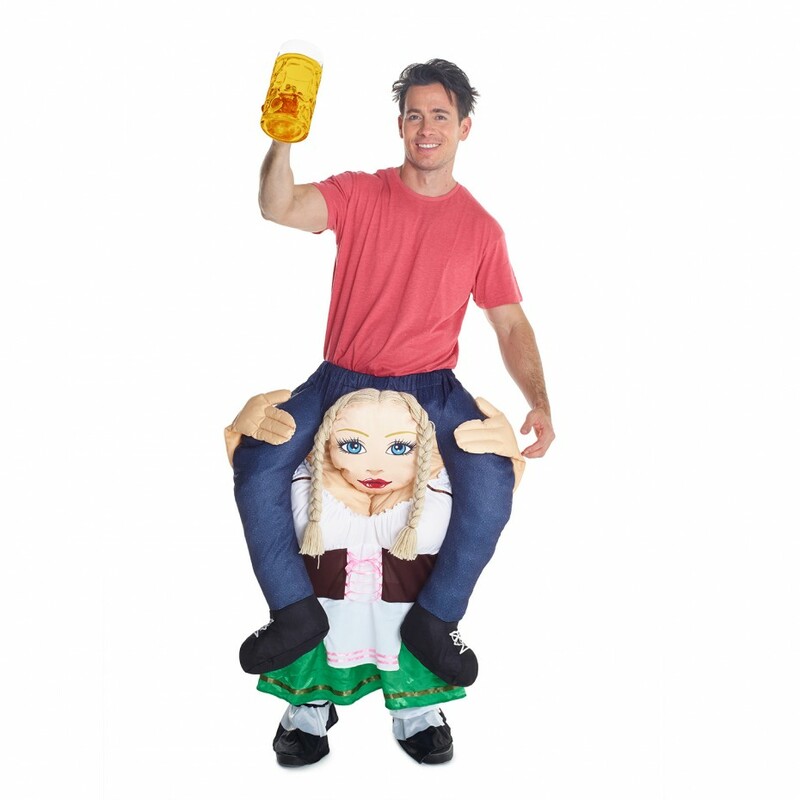 They look great and we have carry-me costumes for almost all big, and often boozy, occasions. They look great especially when there is a slightly tipsy person wearing it. When someone stumbles with their tiddly legs, it just makes the illusion even better! Speaking of the illusion, it’s really easy to achieve! Just take some newspaper or bubble-wrap to stuff the fake legs, it can take quite a bit of these materials to stuff the legs but it doesn’t take a long time to do. Another good thing to use for the stuffing is t-shirts and jumpers – perfect if you find yourself getting a tad chilly but don’t mind having one leg looking a little flat! This is the perfect stag-do costume! Stags are known for their crazy antics and boy, does this girl love antics! 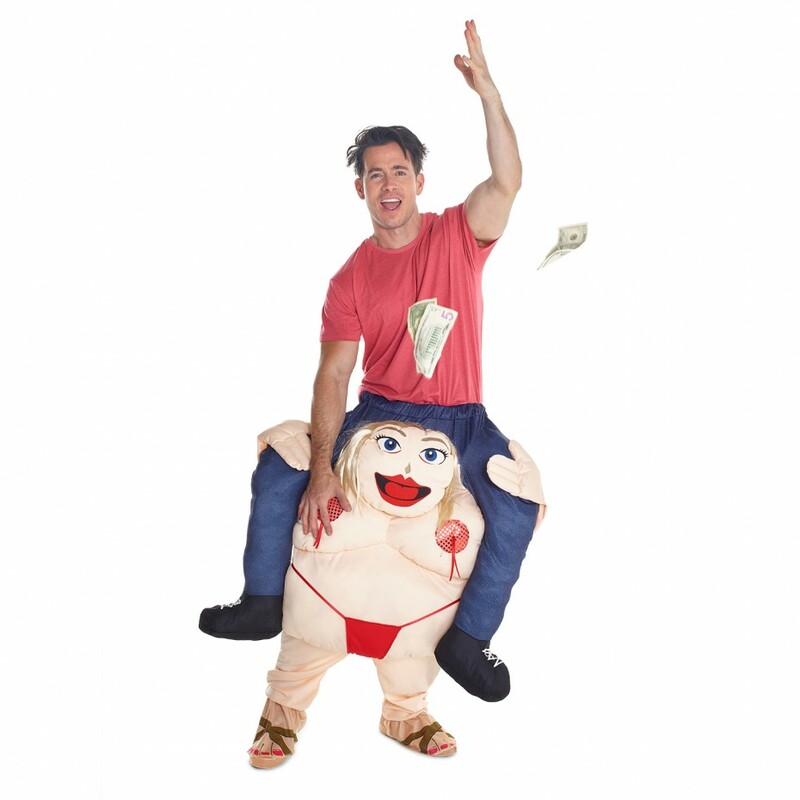 You could either get the groom to wear this costume while the rest of the party wear one of our other ride-on costumes. However, we think that a group of say 12 or 13 guys dressed fully in these bad boys, or girls even, would make a brilliant stag costume! Now, we love St. Patrick’s Day. It’s a chance to celebrate the Irish nation and it’s traditions (read: drinking responsibly). Of course, it’s one of the prime excuses for wearing a costume! 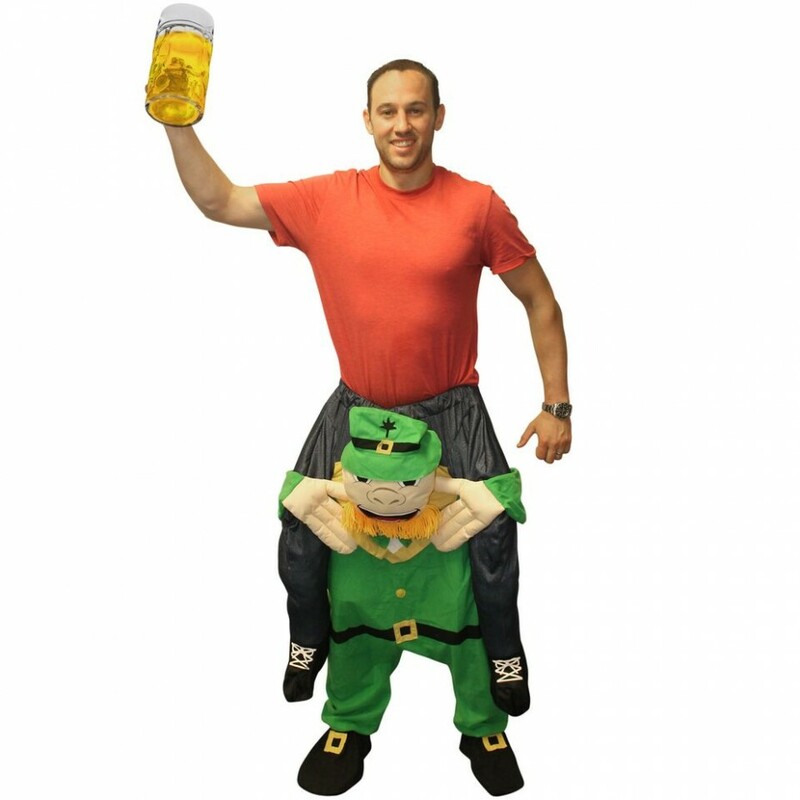 Perfect for St. Patrick’s celebrations, a stag-do costume, or for any Irish sporting event; gaelic, rugby, even if you’re supporting Rory McIlroy in his next tournament. 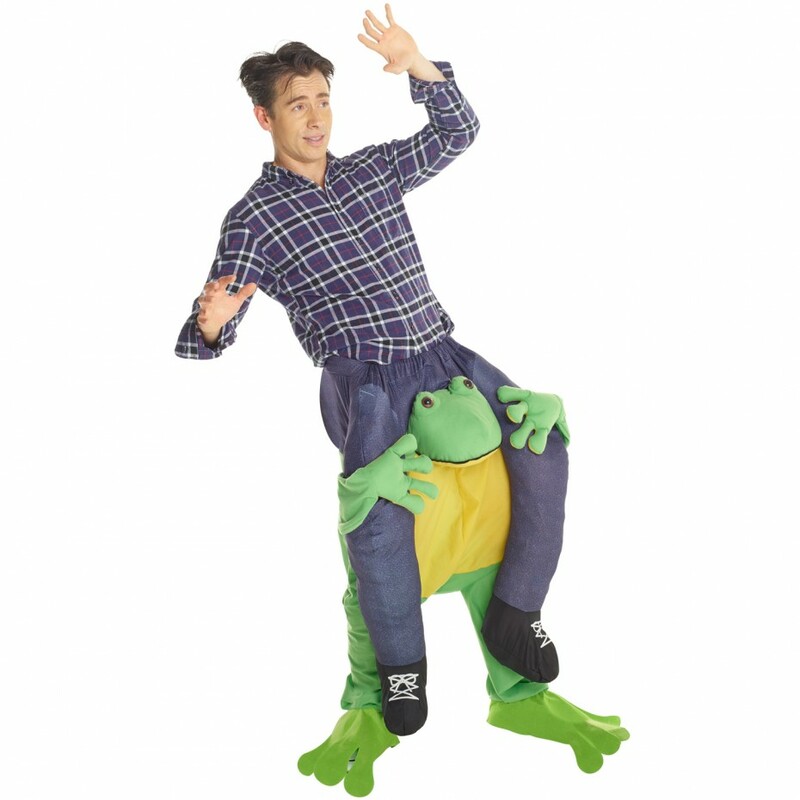 If you do pick this costume, expect many heads to turn your way when you enter the party. You’ll be the centre of attention! 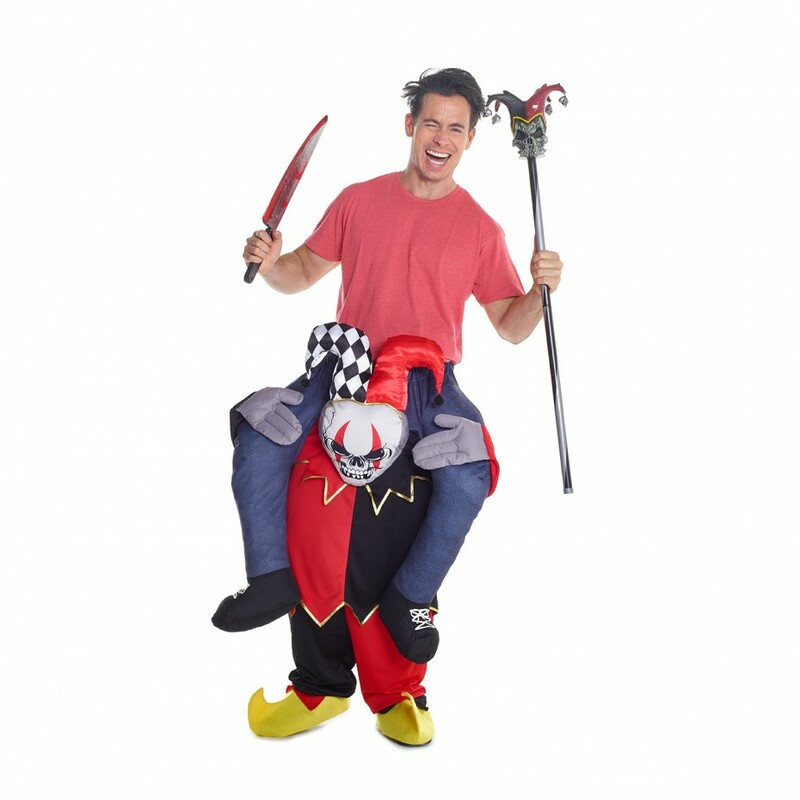 These carry-me costumes are ideal for genuinely all occasions, with perhaps a little accessorization. 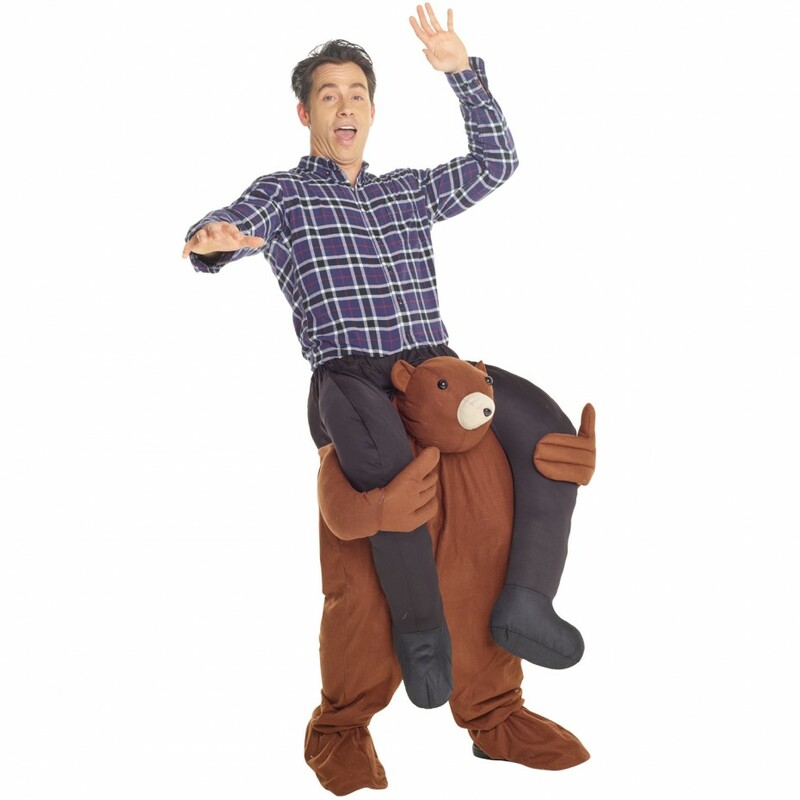 Image wearing our brilliant Teddy ride-on costume with the Teddy wearing a little Santa hat, or the Frog wearing an Iron Man mask while you’re in an Iron Man Morphsuit. Does it make a lot of sense? Not at all but it’s fun! 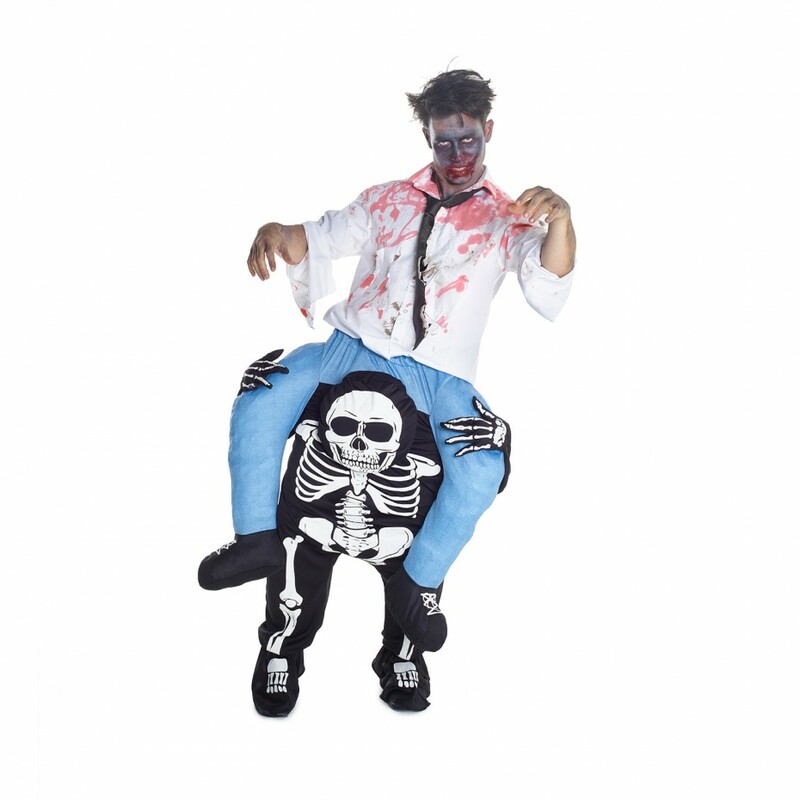 These two costumes particularly are brilliant because they’re so open for interpretation, for example you can wear one of our DigitalDudz masks and t-shirts when you’re wearing this costume on your lower half. There is a chance it’ll look a tad strange but that’s the purpose of this costume! Perfect for birthday parties, sporting events, and Halloween too.